Brazilian food is just as exotic as it's culture. There are many different aspects of the food here which includes natural foods such as Brazilian coffee down to the Brazil nuts. You'll even discover the 5 most popular Brazil recipes. Brazilian Recipes are an important part of the festive nature of Brazilians. They love parties and celebrations. They throw the biggest party in the world every year. They have great dancing and great music. But no party is complete without food. People can gather around the table, and share laughter, food and camaraderie. 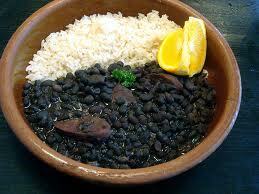 Each of the major regions has their own common Brazil food recipes. Those dishes reflect the particular culture of the area. Recipes that are popular all over the country will still be different from north to south, or east to west. There are so many great recipes that it can be hard to pin down the very best, but here are 5 of them. Brazilian BBQ is a must if you are one of the many people who enjoy exploring the foods of various cultures. 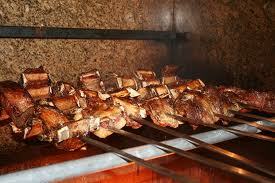 The Brazilian barbeque began hundreds of years ago in the Rio Grande do Sul region of Brazil. The Gauchos, also known as cowboys, developed the Churrasco, another name for Brazilian BBQ. Originally, they would use sirloin mounted on skewers for the barbecue, but soon they also sometimes used pork, lamb, poultry, and various cuts of beef mixed in. There are five secrets you should know about a Brazilian barbeque. As you can see, Brazilian is very diverse as much as the interesting people and places to see in this amazing country. 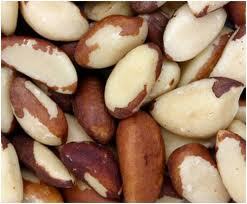 When you visit, you will not be disappointed in the Brazil food that you experience.